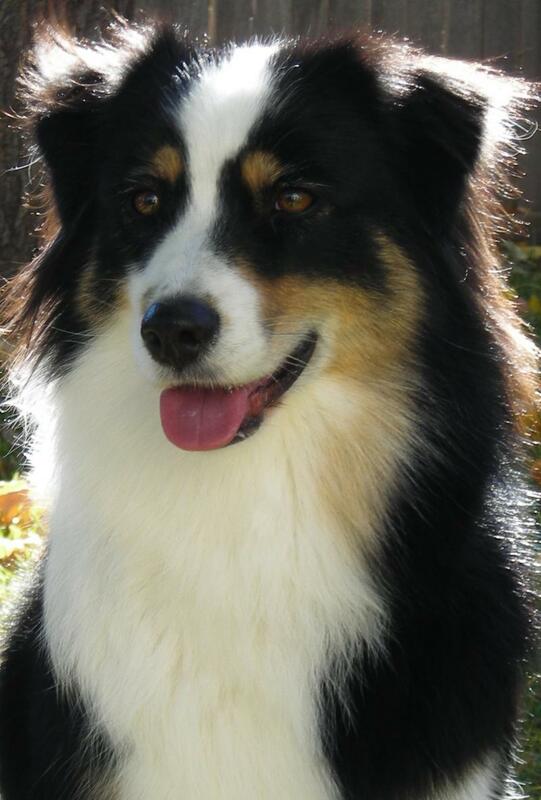 Pepper is just a wonderful companion. She loves all and will do anything for anyone! 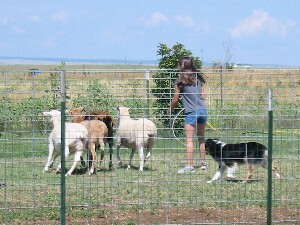 Pepper with Erin working sheep under the guidence of Rick Hardin. Pepper tries so hard to keep up with Abbey. Pepper and 2 of her pups at 18 weeks. Nov. 2009. Aussies are always on the lookout.